As part of the global Ronald McDonald House Charity network, Atlanta Ronald McDonald House Charities is dedicated to optimizing the health and well-being of children and families in the greater Atlanta area. 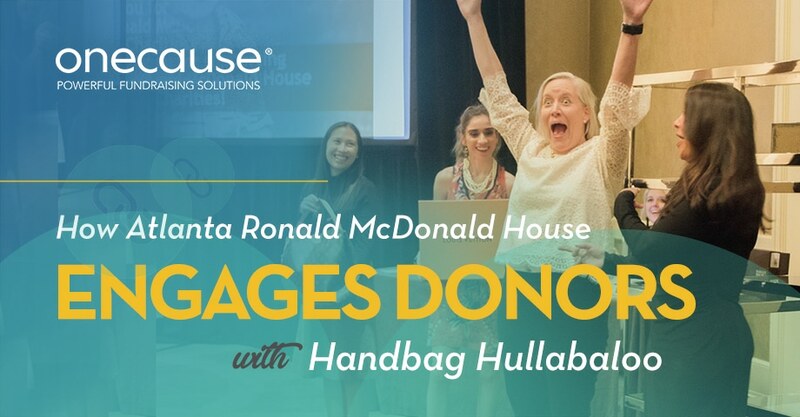 This is the story of how an established Ronald McDonald House Chapter learned from another chapter in a separate market, to target and engage a specific donor segment. It also explores how the joining of donor segmentation and fundraising strategy created a new path for charitable success. 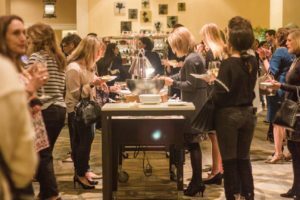 “Like many nonprofits, we host several special events and an annual gala, but we started to recognize we were missing out on a critical audience: women,” said Caroline Tate, Director of Special Events at Atlanta Ronald McDonald House Charities. “We came to the realization that women are often the philanthropic drivers within a home, and that we needed to create an event tailored specifically to them”. Caroline and her fundraising team looked to other Ronald McDonald Houses for ideas and inspiration. With so many fashion shows and ladies luncheons out there, they wanted to think outside of the box and create a ladies-focused fundraising event where supporters could learn about their mission and engage with each other. Woman donor collecting her winning handbag. The team decided to join mobile fundraising with two things most women love: handbags and winning! Based on a successful idea pioneered by the Columbus, Ohio Ronald McDonald House Charities, they settled on Handbag HULLABALOO!™ . The event would target women who wanted to surround themselves with friends, go out and have fun, and give back to charity – all in one fun evening. The 2018 inaugural event was a huge success, and the team decided to focus on growing the event and attracting more female donors. In 2019, the second annual Hullabaloo fundraiser exploded. The event attracted more than 400 women from the community, and every aspect of the fundraiser was tailored to the female donor experience. Even more successful than the year before, the Charity used mobile fundraising to grow their “adopt-a-family” appeal so that attendees could learn more about the overall mission of Atlanta Ronald McDonald House Charities and be led to give. The key to success was a fresh event concept, easy giving experience, and special attention paid to a specific audience. All onsite fundraising activities are geared with the female donor in mind. To generate maximum proceeds, they held raffles, conducted a purse auction, had jewelry for purchase, offered sponsored gift packages, and had available a variety of other fixed-priced items. Understanding this niche audience and providing what they want to get out of a charitable event has made Handbag HULLABALOO!™ an incredibly popular event in the organization’s event lineup. These women have also engaged with the mission outside of the event. The attendees have become volunteers, advocates, and active supporters of Atlanta Ronald McDonald House Charities. In addition, because women are often involved with multiple causes and networks (Sunday school, school groups, Junior League, etc. ), they have a high chance of becoming ambassadors for future fundraising events. Increasing the number of handbags and raffle items available for preview on the campaign site. Ramping up available content to drive more attendees and donors. Atlanta Ronald McDonald House Charities Inc. is a nonprofit 501 (c) (3) organization dedicated to nurturing the health and well-being of children and families. Atlanta RMHC has two Houses for a total of 81 bedrooms, a Family Care Room and a Care Mobile. For more information or the support the cause, visit Atlanta Ronald McDonald House Charities’ website.